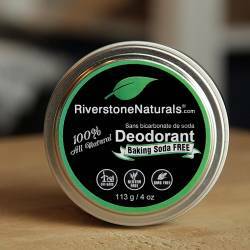 Riverstone Naturals Blue Deodorant is made with 100% natural ingredients, giving your armpits the dryness they deserve. 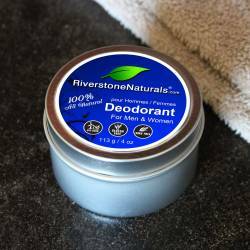 The balancing nature of Frankincense resin sets this deodorant apart from all others, promoting strength, courage, and protection. 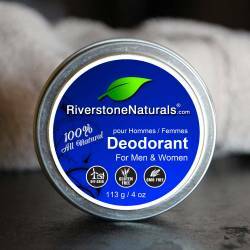 Riverstone Naturals Blue Deodorant is ideal for men & women with dry, normal or sensitive skin - and it really works! 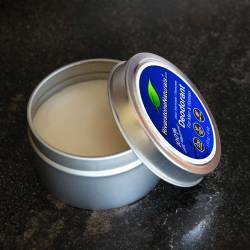 * Naturally effective against bacterial, yeast, and fungi.